Tracy Stone, of Tracy A. 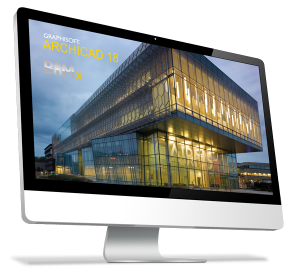 Stone Architect has been working with ArchiCAD for many years. She has shared her design vision on projects both as an architect and instructor. Most recently, she employed the tools within ArchiCAD v15 & 16 on an interior design project in which she was asked to convert a warehouse space located in North Hollywood into office suites, conference rooms, edit bays and lobby for a television production company. The space presented several challenges in that the client was happy with the feeling of the space, but they needed to have sound proofing in several areas. The warehouse provided very little natural light. The location of the bathrooms, in the middle of the building near the entrance, while not particularly esthetically pleasing was not changed to keep costs in check. 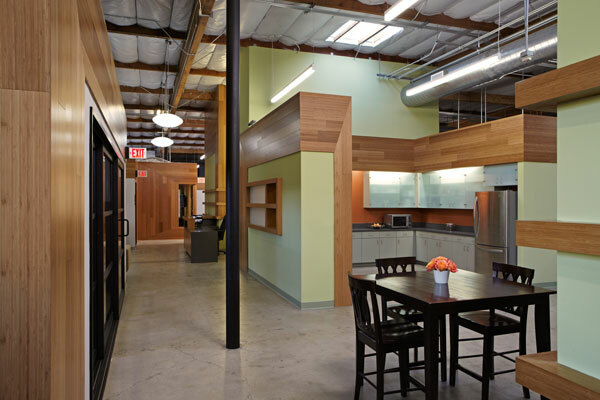 This tenant improvement to a 12,000 sf warehouse was designed to create a contemporary work environment for an up-and-coming TV production company on a tight budget. 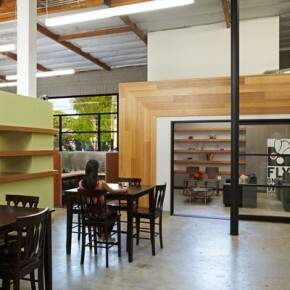 Strategic placement of wood paneling creates a graphically coherent aesthetic that ties together the programmed blocks within the industrial building envelope. 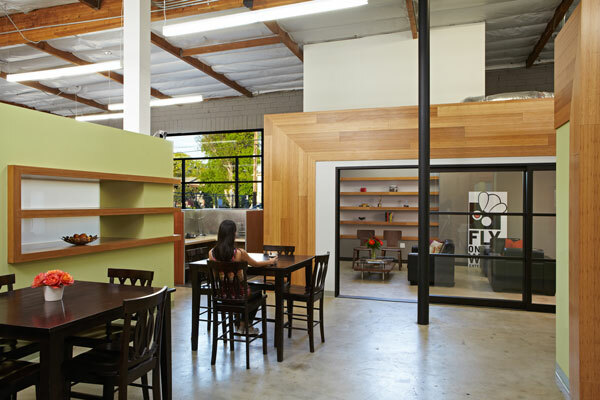 To maintain as much open space as possible, the enclosed low-ceiling offices were pushed to the perimeter and a small service block was located in the center of the space, leaving two larger open zones to either side. 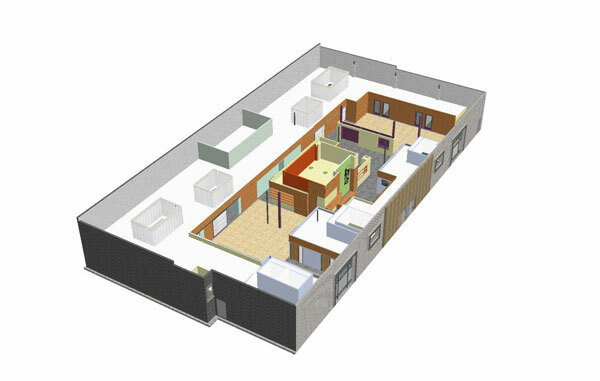 Working with ArchiCAD’s zone tool, Stone planned out the space – blocking a diagram of the way the rooms could be laid out. In this way, the client was able to visualize just how many different rooms could be created within the existing space. At the beginning, Stone chose to provide simple sketches through the ArchiCAD BIM to help her client see the possibilities without imposing material or color decisions onto their mindset. After that initial presentation, Stone says a plan was finalized – where the final colors and material palates were added to the schematic. At every phase of the remodeling, ArchiCAD provided assistance in making design choices. Stone was able to show alternative choices for the amount of glass the executive and junior executive offices would use, how large the main meeting areas would be and even schematics of potential furniture layouts. 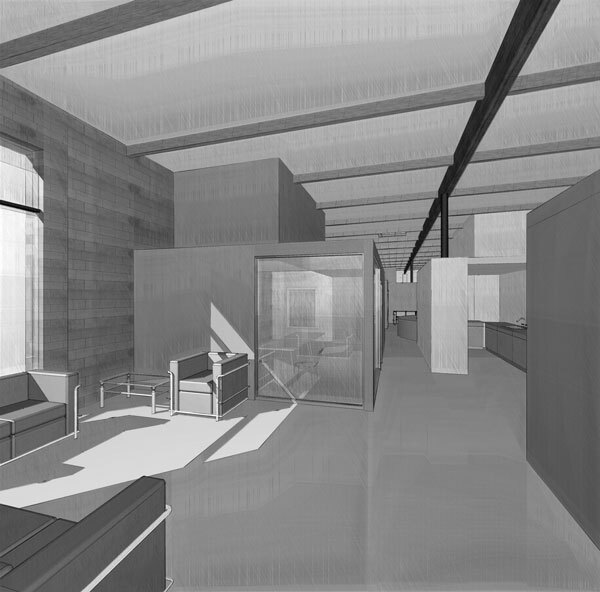 As the BIM of the interior design became more detailed, Stone was able to provide data to the mechanical engineers so they could plan duct work placement and other aspects of the building. Stone works with Artlantis in conjunction with ArchiCAD to help create lighting quickly and effectively – an important factor of working with interiors. The client asked Stone to provide a natural feeling within the space, so she devised a type of wood skin that wrapped throughout the interior.